The overall goal of this case is to introduce students to the genetic basis of cancer while teaching them about melanoma. The fictional protagonist of the case is 20-year-old Judy. Fair-haired and fair-skinned, Judy covets the kind of suntan that her friend Mariah seems to be able to get effortlessly. All Judy has to show for the hours she spends in the sun is a bad sunburn. But then Judy notices a mole on her leg that looks odd. 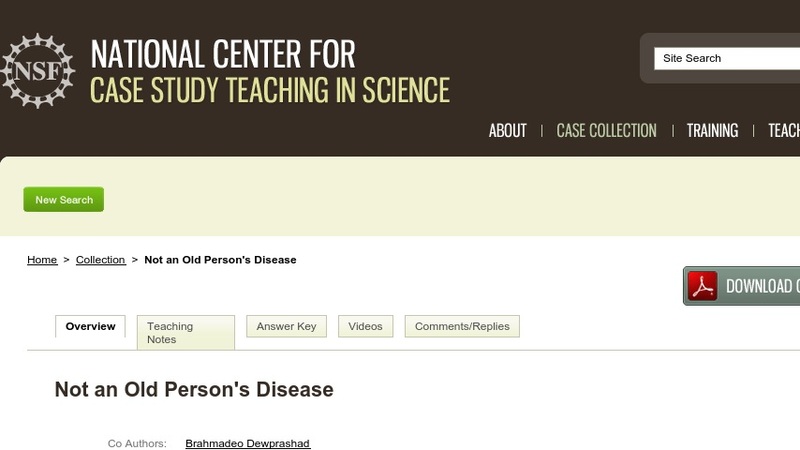 This case was written specifically for a general education health and wellness class taken by students ranging from first-year students to seniors, and from non-science majors to biology majors.